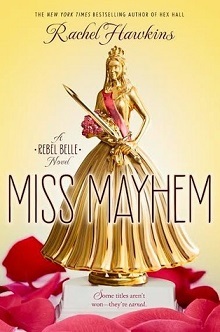 Now up, Miss Mayhem by Rachel Hawkins, book two in the Rebel Belle Tween/Teen Fantasy series narrated by Amy Rubinate. Rebel Belle (book one) seemed to jam in plenty of well-paced elements while introducing us to Harper and her world in high school, and her discovery of her new place (and skills) in the universe. In Miss Mayhem, a similar number of elements are brought together to hold interest, and the humor, Harper’s view of the world, and the secondary characters all manage to carry readers along. Hawkins’ portrayal of Harper has been tuned to a fine edge, the voice, determination and higher levels of “I don’t give two hoots about what you think” are prevalent, even as Harper is a bit more out of control, testing her limits. The story picks up at the end of Rebel Belle, and the cotillion has provided a few surprises, and Harper and David are ‘a couple’ with no triangle. But – a new task for Harper as the Ephors have returned with a new proclamation for David, and a need to test out and master powers for them both. A bit of a weird kerfuffle in the middle as everything seems out of control and Harper is dancing that fine edge as she tests her limits and completes her tasks. 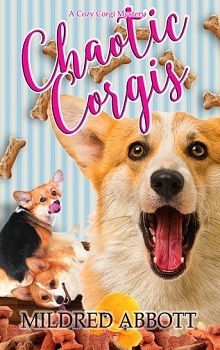 Balance in life and obligations are all stressed to fine points, with some things falling aside occasionally as Harper learns to find her new normal, and overall, clever but not as engaging as the first book. Narration again from Amy Rubinate, and this most certainly added to the lack of ‘oomph’ in this title for me. Reading not performing the story, combined with some odd choices for voice and tone that were not always consistent made this a listen that was frequently interrupted for ‘other things’. If you are looking for a light, fun and occasionally madcap YA / Teen story, I would suggest these in their written form. Life is almost back to normal for Harper Price. The Ephors have been silent after their deadly attack at Cotillion months ago, and her best friend, Bee, has returned after a mysterious disappearance. Now Harper can focus on the important things in life: school, canoodling with David (her nemesis-turned-ward-slash-boyfie), and even competing in the Miss Pine Grove pageant. Unfortunately, supernatural chores are never done. The Ephors have decided they’d rather train David than kill him. The catch: Harper has to come along for the ride, but she can’t stay David’s Paladin unless she undergoes an ancient trial that will either kill her . . . or make her more powerful than ever.